Home > dropshipping & select > How To Run A Drop Shipping Business Outside The United States? Many people often ask how to do drop shipping business from outside the US? Especially those from The UK, Australia, New Zealand and Europe. 1-Set up a U.S. based L.L.C (Limited Liability Company) and get a U.S. Bank Account. 2-Do drop shipping business within your home country. There are many non-Americans successful sellers who built their company this way, including sellers from UK, Australia, and the Middle East. If you are new to drop shipping and want to open your own US company, then you can easily follow the Dropship lifestyle training program to start your company. I have previously written a complete review for the drop ship lifestyle and you may read it here. The Drop Ship Lifestyle works well for non-US people. It will cost you few hundred dollars and few weeks to start your US company and get your own US bank account. It is a little bit harder than being a U.S. citizen, but it is possible with the help of drop ship lifestyle program. This training program teaches you all simple detail to run your company like setting up the bank account, answering calls and more. Selling to Americans who already love online shopping. Getting access to lots of companies who drop ship. Your suppliers and customers won’t need to know you aren’t in the U.S.
You can easily hire a U.S. based support to answer your customer calls. The competition in the US is very high. You have to smartly select your niche and market it. Online advertising prices are high. They are many great sellers who are making tens of thousands of dollars drop shipping in their home countries. Many of them benefit from the drop ship lifestyle program which techs not only how to drop ship and build a us based company, it also teaches how to start-up a drop shipping business in your home country for your local customers. With the drop ship lifestyle, you will learn about drop shipping, picking the best niche, competitor research, calling suppliers, building a store, getting traffic, sales and much more. Online advertising prices are low. Customers prefer to shop locally to save on shipping cost and time. Fewer companies and suppliers allow drop shipping. Although you will find ones, but it is little bit harder than the US. The percentage of online people who buy online in your home country may be short which may affect your sales. This number is increasing day after day almost in most countries. Shipping heavy items are costly and take a long time in places such as Australia. If you live in a developing country where e-commerce is improving like UK, Australia, Canada or other country, I recommend going with the second method (Drop shipping in your home country), Although it takes longer time to start up. You know, if you take action and enter the market today, it will be harder for new future companies to compete with your store. And by the time more and more local customers will be yours. On the other hand if you live in a country in which e-commerce is not yet well developed, I prefer going with method one (Run your own U.S. Company). To sum up, starting a drop shipping business outside the US is possible and easier than what you think. You can run your own US L.L.C mainly if the e-commerce industry in your home country is not developing. Otherwise, you can run your own local drop shipping business in your home country. If you like the post kindly share it with your friends on social media. And do not forget to comment below. Many people often ask how to do drop shipping business from outside the US? Especially those from The UK, Australians, New Zealand and Europe. 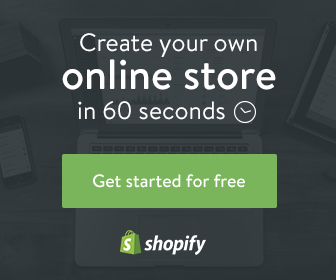 How To chose A Niche For Your New online store?